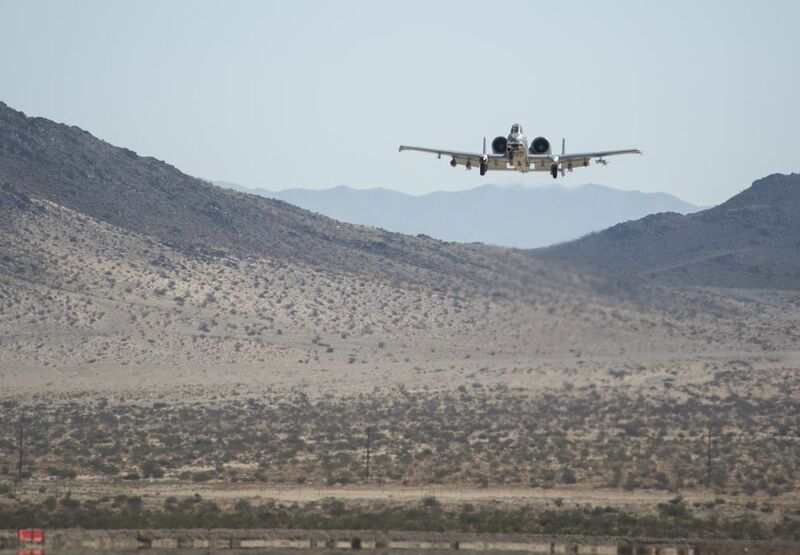 An A-10 Thunderbolt II departs from the National Training Center at Fort Irwin, Calif., July 16, 2015. The meeting established rapport with the Army brigade and reassured them that the Air Force will be there when they call. The A-10 Thunderbolt II is still one of the toughest planes around. On Jul. 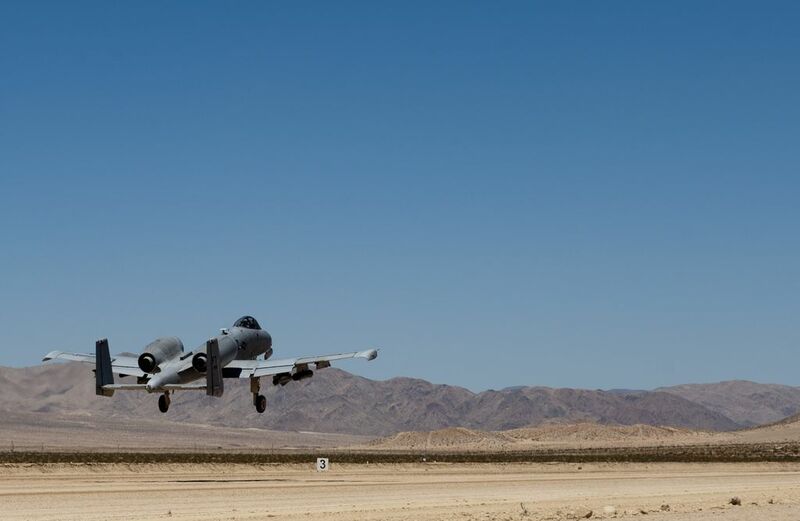 16, two U.S. Air Force A-10s belonging to the 75th Fighter Squadron, from Moody Air Force Base, performed austere landing operations at the National Training Center at Fort Irwin, California. 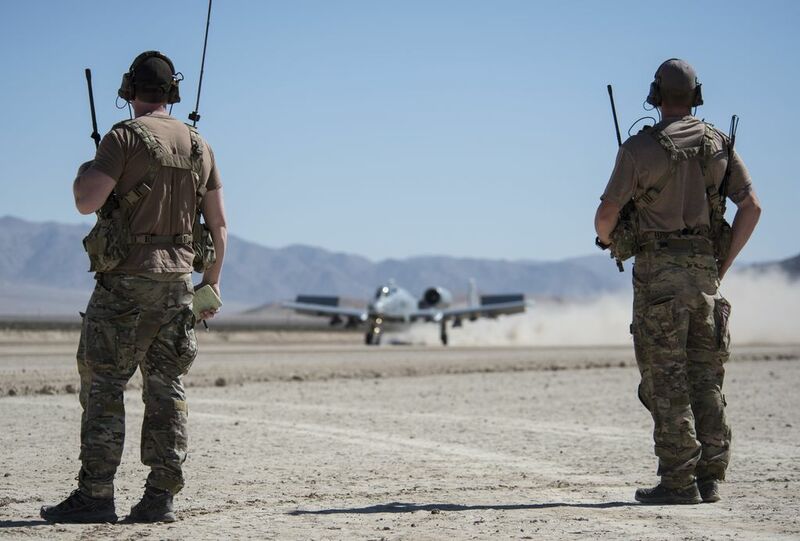 This event marked the very first time Warthog pilots in a Green Flag-West training exercise landed at the NTC and to meet face-to-face with an Army ground commander: after the two aircraft landed sending up clouds of dirt, the two pilots met with the combat controllers who called them in. Then, according the Air Force, they got into separate Humvees and left the site to meet with an Army brigade commander and his staff in another location on the range. “This meeting established rapport with the brigade and reassured them that the Air Force will be there for them when they call. By meeting with the commander and his staff and seeing the battlefield from the ground, the pilots gained an appreciation for what our ground forces go through during a Green Flag rotation,” the Air Force said in an official release. 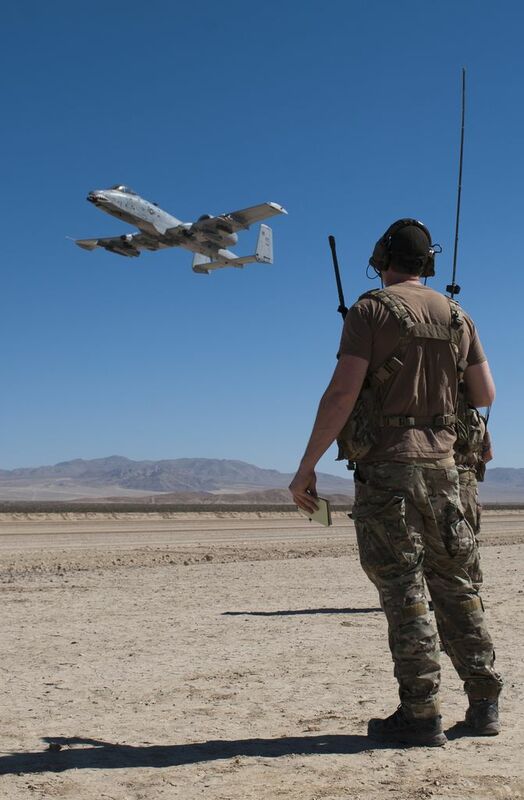 The A-10s proved their unique capability to perform their Close Air Support, Combat Search And Rescue and Forward Air Control mission, then land in an unprepared field, to refuel and take off again to continue the fight. Even though an airborne tanker would support real operations, the landing capability allows the “Hogs” to land to refuel on the ground if necessary: in a contested environment, the threat could be too high to have aerial refuelers support the attack planes. 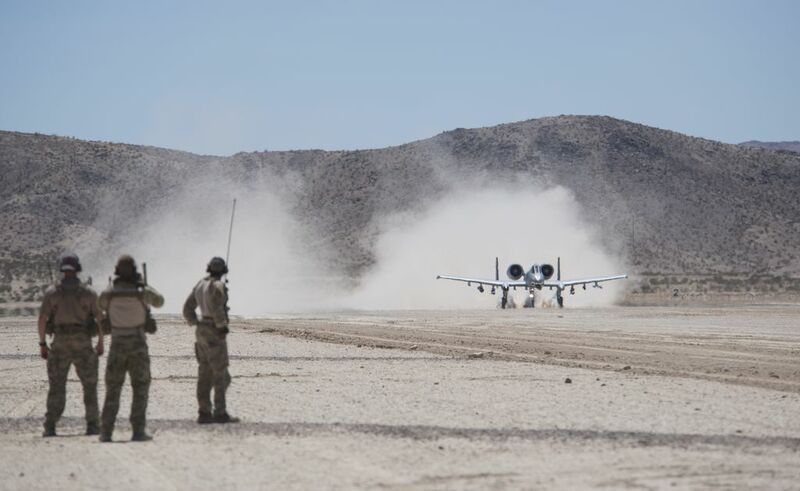 Landing close to the battlefield provides additional on-station time for the A-10s. The A-10 was built to land on an unprepared runway: the dirt won’t negatively affect the engine or tires. Thunderbolts deployed in Europe as part on an Air Force Theater Security Package have demonstrated austere landing capability at an abandoned Cold War-era airfield in Poland.